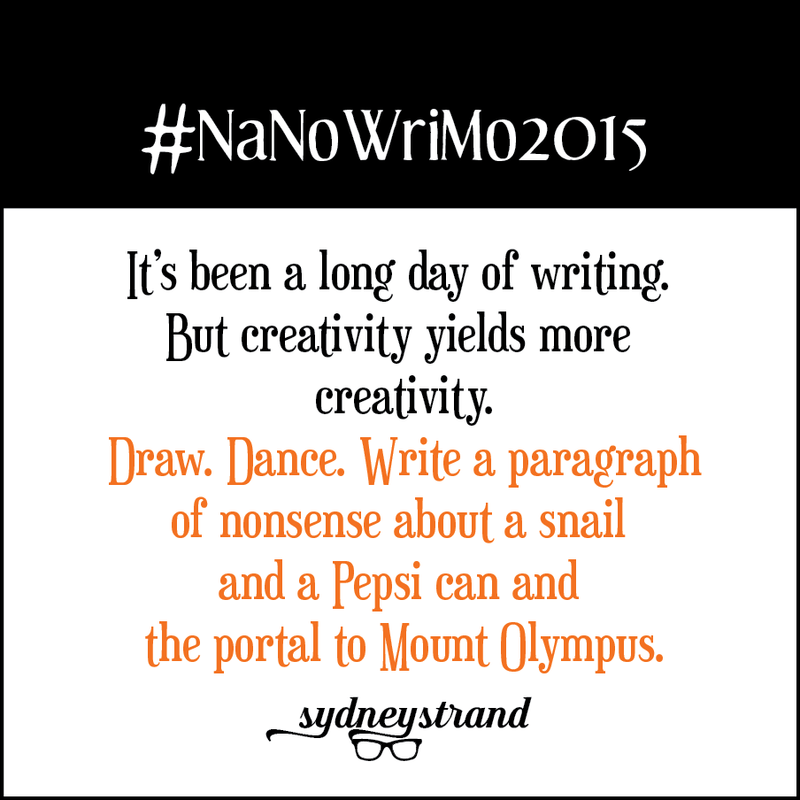 Sydney Strand: NaNoWriMo: Are You Being a Crazy (Productive) Monkey With a Project A and B? 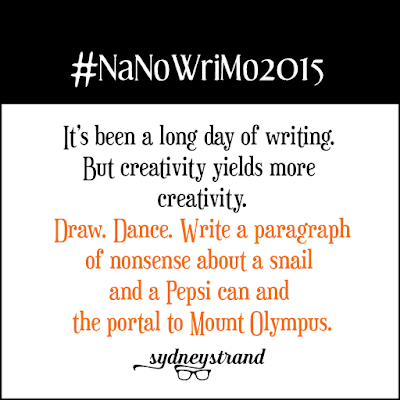 NaNoWriMo: Are You Being a Crazy (Productive) Monkey With a Project A and B? So I can be a little bit of a crazy monkey. Not the kind that flings poop. That's a disgusting monkey. But I am one who pushes herself into crazy deadlines and goals in order to make stuff happen in order to pave the road for bigger stuff to happen. And one of these crazy ideas? I am writing a short story as I'm revising my big story. Because I always like to have a B Project while working on the A Project. When I worked on His Favorite Regret, with Cadie and Bo, I needed to keep my creative juices up as I waited for beta readers and the editor to get the story back to me. So I started His Favorite Inconvenience, which is a story that focuses Cadie's sister Sera. I started it at the end of Draft 2 for His Favorite Regret, on October 16, and then on December 13, I put it up on Amazon, and in mid-January, I had His Favorite Regret up. As I started on my B Project this time around, I noticed something--I started it at the end of Draft 2 of my A Project. The only difference? They're completely different stories! One is YA sci-fi, the other is women's fiction chick lit. But it's kept me productive and excited to write and create! I carve out chunks of time during the day/night where I work on Project A's daily goal. (Right now, it's revising six chapters per day.) I have to meet this goal, and will even sit down with my daughter at homework time, before Le Bebe Boy wakes up from his nap, to make it happen. Then, at night, before I go to bed, I work on 500 words of Project B. It is a 6,000-word story, and it invigorates me and makes me miss Project A at the same time. Isn't that awesome?